The Faculty Scholarship in Memory of Karla Lynch is in memory of long-time faculty member Karla Lynch, who passed away on February 21, 2015. Karla was also an alumna of our program, earning her Master's in economics in 1992. She was a master teacher and a caring mentor, and she touched the lives of generations of students and colleagues and friends fortunate enough to have known her. The scholarship is funded by Karla's colleagues and many friends as a way of honoring her commitment to her students and to higher education in general. The Lewis Abernathy Scholarship is in memory of a beloved teacher and scholar who joined the faculty in 1962, serving until his retirement in 1995. Professor Abernathy also served as department chair from 1985-1995. The Melton-Cochran Scholarship is in memory of Rosser B. "Abe" Melton (a faculty member from 1946-1975) and Kendall P. Cochran (on the faculty from 1957-1989, and department chair from 1969-1977). Both were noted scholars and were inspirations to generations of students. For donors of $250 or more, we are pleased to send a complimentary copy of the forthcoming book, Economics: From the Dismal Science to the Moral Science, The Moral Economics of Kendall P. Cochran, University of North Texas Scholarly Press. The William H. & Virginia W. Wallace Scholarship honors former faculty member William H. Wallace and his late wife Virginia W. Wallace and their service and dedication to education. The Aaron Wuensch Scholarship celebrates the life of graduate student Aaron Wuensch (1983-2009), whose generous spirit and love of life touched the lives of his fellow students and all who knew him. The Economic Development Scholars Scholarship supports students with a demonstrated interest in regional economic development. The Friends of the Economics Department Scholarship is our general-purpose scholarship fund. 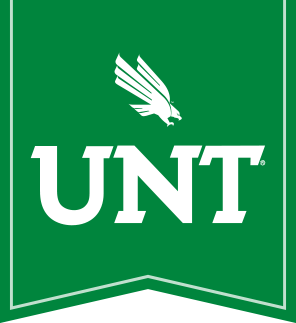 You can add your support online by clicking here or visit https://one.unt.edu/denton/economics and choose the name of the Scholarship that you would like designate your gift. If you would like to contribute by mail, or if you have any questions, please contact us at (940) 565-2573 or at Economics-Alumni@unt.edu.